How can you market your oil and gas company effectively with limited resources? How do you find new customers or clients in the highly competitive and regulated oil and gas business? An effective PPC marketing strategy will help differentiate your business and develop an authoritative online presence. If you don’t have the time to do it on your own, Optimum7 is here to help. After learning about your company, Optimum7 will create and execute a PPC strategy to support your business goals with with ongoing feedback on a consistent basis. Whether you are a B2B, an e-commerce store or an local business, our goal is to convert the decision-makers by directing them to your website PPC conversion strategies. With paid search, Optimum7 is doing more than just getting your ads on search engines or social media. Our in-depth analytics track and monitor the data collected from our customized PPC campaigns. We can adjust our program for you as we see fit and provide reports based on our progress. Lead generation for your growing your business opportunities is our priority while you provide the quality service and products. Search ads appear when the user is already searching for a keyword related to your business. Google is the largest search engine but Bing, Yahoo, and AOL are important search engines that should be factored into any PPC strategy. With Google Ads we can create paid ads that show above organic results. We have been working with Google Ads since it premiered and are established Google Partners. These kinds of PPC Ads appear on websites related to the theme of the keyword we select based on our company profile of your business. Remarketing is an effective way to drive sales and keep the product or service in front of prospective clients. Local PPC is a relatively new strategy that gives added leverage from geographically targeted PPC ads. With Social Media PPC we can focus on key demographics and special interest groups. This also gives great opportunity for user engagement with likes, comments, and shares. For any Ad, keeping mobile in mind is a necessity. Optimizing for mobile is another story altogther but we have experience with mobile devices and strategies as well. So how do the oil and gas services companies get the attention of their target audience? There are a whole host of oil and gas producers needed to drill, extract, refine, deliver and market oil and gas as well as related products. With something new always happening in the industry. these PPC strategies are sure to get their attention. Consumers and businesses often have questions concerning environmental regulations, safety, or cutting their cost due to weather hazards; create engaging content that answer these questions when users reach the landing page with your services. 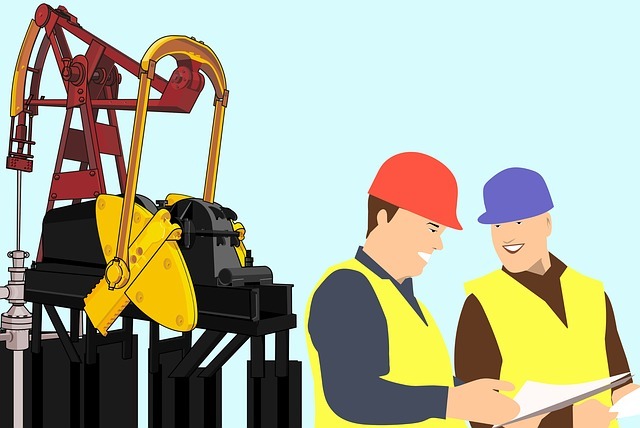 In the oil and gas industry it’s important to know about the latest findings which also provides a steady stream of premium content and establishes your authority in the field. Branding is not just for creative companies. When asked to describe their brand, very few oil and gas companies knew what that meant. A brand is the first idea or image customers have of your company. This is easier to create with PPC marketing campaigns. We can create consistent advertising, tone of voice, web design, and direct marketing. We think of it as an integrated approach that builds recognition in the mind of the consumer and ultimately builds a favorable perception of a company. The decision-makers are always interested in how a particular agency can provide solutions to your variety of issues and concerns. Case studies are a great way to show potential customers how you’ve done it and with a negative keyword list, you won’t waste your PPC bids with mere researchers. We can help create detailed and engaging summaries that demonstrate the short-term or long-term satisfaction of your customers. Negative keywords allow you to exclude certain search terms from your campaigns and help you target the keywords that matter to your business and customers. We create negative keywords lists to filter out any unwanted traffic and save money that otherwise would have been wasted on irrelevant clicks.